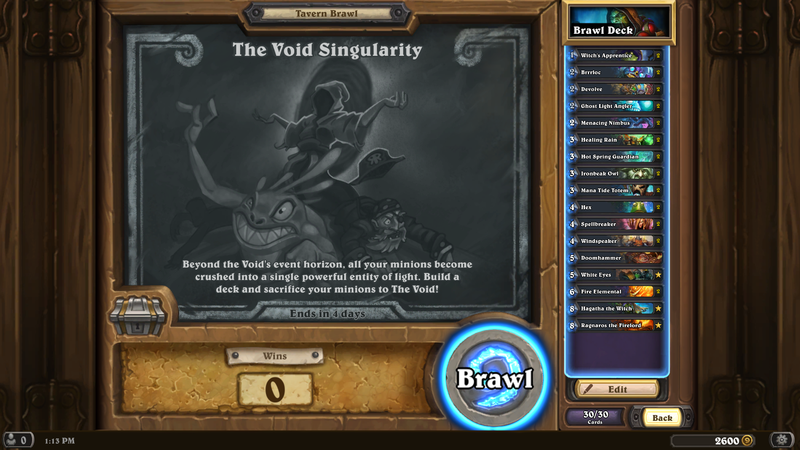 This week’s Tavern Brawl is: The Void Singularity. Build your deck, at the end of your turn, your minions turn into a “Void Singularity” with attack and health that corresponds to the minion you played. 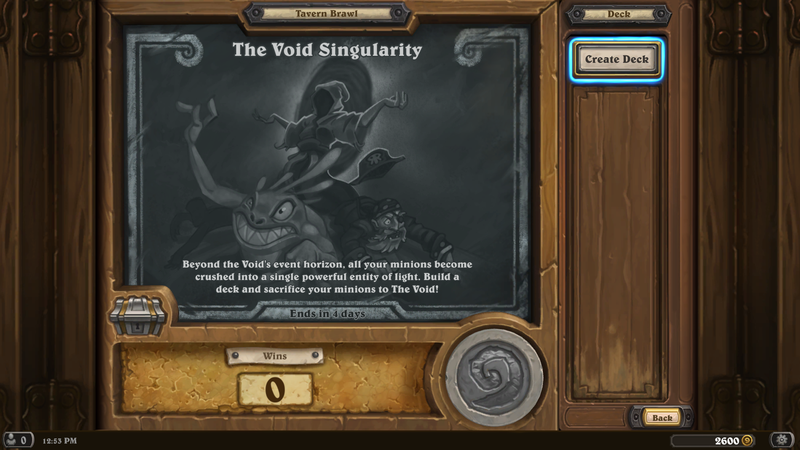 It also combines with any other void singularity on the board. I will also have to tweak my deck because cards like Mana Tide Totem, and any taunts are fairly useless since they morph at the end of the term. 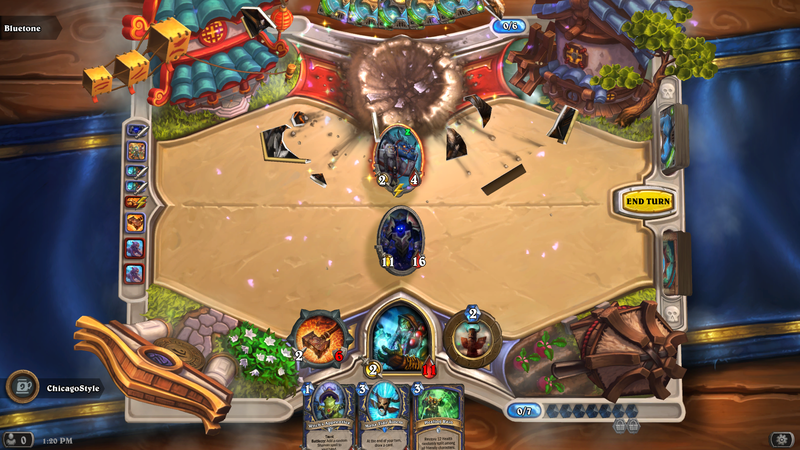 This is also a semi-Wild brawl; some cards are banned because they would be too powerful. So get on in there and get your free pack! Since you pick your class, and build your deck, this brawl should be useful for pretty much any quests. Have fun & see you next week!